Ubuntu 17.10 GNOME has Titlebar Buttons on the Right Side. Let's swap to Left! Did you upgrade from older version of Ubuntu to Ubuntu 17.10 only to figure out that several desktop features, and look & feel, have changed? That’s because Ubuntu 17.10 ships with GNOME as default desktop environment. Older versions used to have Canonical’s own Unity desktop. One of the changes in Ubuntu 17.10 is the change in location of window buttons including Minimize, Maximize, and Close buttons. In Artful Aardvark, these control features are located on the top right corner of windows, just like in most of other Linux distros and even Microsoft Windows desktop. 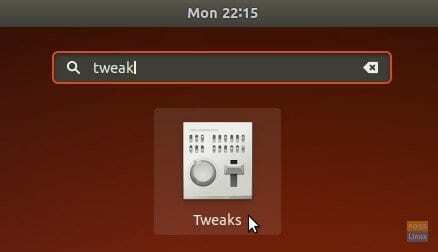 Earlier versions of Ubuntu having Unity desktop carried the window buttons on to the left corner like in Mac OS X. Step 1) Launch ‘Terminal’. You can do it from ‘Activities’ or simply press Ctrl, Alt, T simultaneously. Step 2) Copy and paste the following command line to the Terminal and press enter. You should immediately see the window control buttons swing to left! Step 1) Go to “Ubuntu Software”, and search for “Gnome Tweaks”. Go ahead and install the utility. Step 2) Launch “Tweaks” from “Activities”. Step 3) Click “Windows” tab in the left pane, and then click “left” in Title bar buttons placement section.